Now that you have your Cricut, you’ll want to know about all of the great accessories that are available to use with it. While the bare minimums that you need are a cartridge, spatula, cutting mat, and paper, you will see that some of the optional accessories will definitely assist your creativity. Here’s a rundown of all the great ‘stuff’ that will make your Cricut machine even better! We’ve already posted reviews for 2 of the Cricut machines: the original Cricut Personal Cutter and the Cricut Expression. Cricut Cake Personal Electronic Cutter and Cricut Cake Mini Machine – Take your cake decorating to the next level, with cake designs and food-safe mats & blade. Cricut Imagine – Provo Craft partnered with HP to create this machine that designs, cuts, and color prints all at once. Cricut Expression 2 – Similar to the Expression. Comes with 2 pre-loaded cartridges (Alphabet and Essentials). Cricut Create – Similar in size to the original Personal Electronic Cutter. Has some functionality of the Expression. Uses a smaller mat size than the original Cricut Personal Cutter. Cricut Mini Personal Electronic Cutter – Uses a special mat (8-1/2×12″). Designed to use with your computer and Cricut Craft Room. 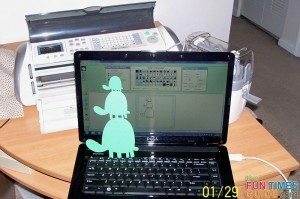 Cricut Gypsy Handheld Design Studio – A portable, handheld design tool. This is not a cutting machine. Use it to design things you want to cut and then use your Cricut machine to produce them. You can see and manipulate all of the Cricut cartridge designs, but you must own the cartridge in order to cut the image. All of the cartridges for the original Cricut Personal Cutter and Cricut Expression can be used with all of the Cricut machines. In addition, Cricut Imagine cartridges and Cricut Cake cartridges are so unique that they can only be used on those machines. Keep in mind that the box itself will only display a small number of images for that particular cartridge. You have to look at the instruction booklet — inside the box — in order to see every image. Of course, you can only do this after you buy it. There really is no good way to see all of the images before purchase (except with the Design Studio, see below). This has never been a downside for me. It’s usually a happy surprise when I see how much more potential each cartridge has than I originally thought! If I’m happy with what I see on the box, I am overjoyed when I see the instruction booklet. Yes, this is actually software, so it requires a computer in order to use it. The Design Studio software lets you explore the design possibilities for every single Cricut cartridge! You can choose any image you like and then use the design tools in the software to transform it — either Resize, Rotate, Slant, Skew, or Weld. You will use the on-screen cutting mat to place, view, and manipulate all of the Cricut images first. Then, use your Cricut machine to cut them out. For example, you can select the stocking image from the Doodlecharms cartridge. Then, by placing letters from the Plantin Schoolbook cartridge, you can cut out your name. Want a stacked up family of turtles? You can have one with the Walk In My Garden cartridge. You get the idea! By far the best feature of Design Studio is the Weld feature. It allows you to weld images together — so when they are cut out, they will be one piece, instead of individual pieces. For example, if I use Lyrical Letters to cut out a name without DS, I will have 5 separate letters to remove from the mat. With DS, I can nudge the letters close together (touching) and they will cut the name as ONE piece. This is brilliant! Another great thing about Cricut Design Studio is being able to view and play with the images from cartridges that you don’t own yet. You can choose images to manipulate on your computer screen — to see if it’s a design or layout that you would like ahead of time — but you can only use your Cricut machine to cut images from cartridges that you are able to place in the machine. This is extremely helpful before buying a new cartridge — if you’re trying to decide between different cartridges, or if you want to make sure an image is exactly what you’re looking for first. The Cricut Jukebox is a storage system for your Cricut cartridges that makes it possible to cut from 6 different cartridges at a time. It holds 6 Cricut cartridges and connects to your Cricut machine with a special connector (included). A touch of the button on the Jukebox selects the cartridge you want to use. That way, you can keep your 6 most-used Cricut cartridges in the Jukebox at all times — eliminating the need to add/remove each cartridge from the Cricut as you cut things from each of those 6 cartridges. At first, I thought this sounded like a waste of money — because I can move the cartridges myself, right? Turns out the Cricut Jukebox is one of my favorite things! For example, if you’re making a card from 2 cartridges, let’s say you cut out the items that you need. Then, as you’re assembling the pieces on your card, maybe you realize something needs to be a little bigger or smaller. Turn to the Cricut – oops, wrong cartridge. Swap the old one for the new one, then cut. Back to the card… Now you find something else you want to resize. Swap the cartridges again. With the Jukebox, it is super simple. No swapping of cartridges at all. There is also a storage component in the bottom that I use for the keypads. And if you have more than 6 Cricut cartridges, you can have multiple Jukeboxes! Best part: they stack up on each other to save space. Each 6 will have its own connector to your Cricut machine. You could sort them by font, or shape, or alphabetically, or by a system that’s all your own. The Jukebox is also great when using multiple cartridges on Design Studio. When you hit Cut, it asks if you have your cartridges in a Jukebox. If yes, proceed. If no, you must insert each cartridge when the Design Studio tells you to — so it can ‘read ‘ them — before you cut. 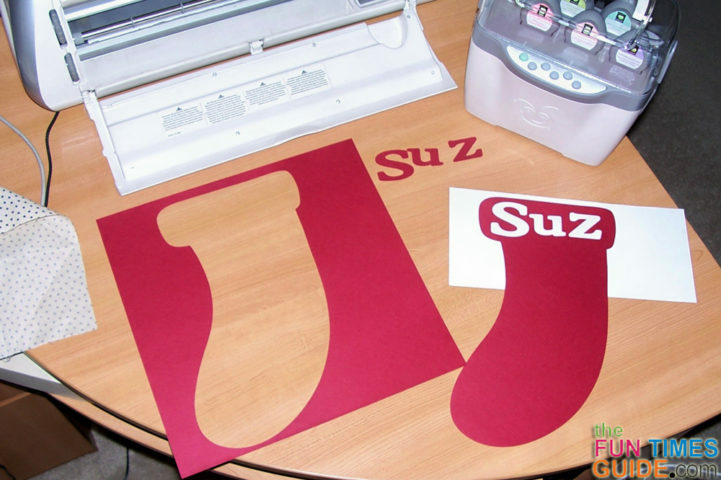 Here’s a good comparison of Cricut Design Studio, Gypsy, and Jukebox. A valuable resource that I turn to time and time again is the online Cricut Community. I specifically go to the Cricut Message Boards, which are made up of Cricut users like me, who post their projects for me to steal – er, I mean, use for inspiration. Seriously, it’s called scraplifting and most users encourage it as long as you don’t intend to publish or sell something that you made following their instructions. On the Message Boards, Cricut questions are posted and answered, as are tips & tricks for all types of crafts. You can check it out as a Guest User or create an account for full access. Also in the Community, Provo Craft shares weekly craft lesson plans and all sorts of Cricut product information. 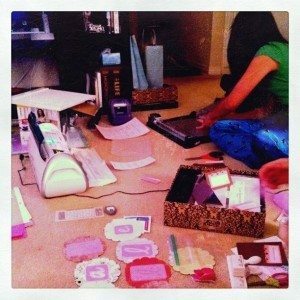 The Cricut Craft Room is a virtual craft room, similar to Cricut Design Studio, except that it’s FREE. You can play with all the Cricut cartridge possibilities, save your design, and connect your computer to your Cricut to cut your design. You must own the cartridges in order to make the cuts. As you can see… with a Cricut machine, the possibilities for all of your paper crafts really are endless. They’re limited only by your imagination.